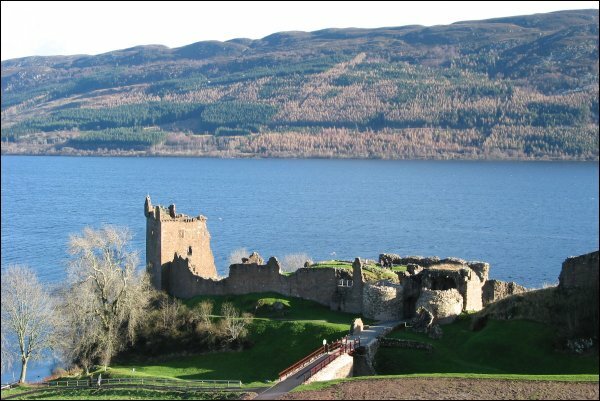 Castle Urquhart has a striking location above Loch Ness, The rocky outcrop was first used by the Picts who built a vitrified fort in the 6th Century. Most of what remains today dates from the early 16th Century, when the tower was added and the earlier 13th Century walls were strengthened. The Castle was dismantled by the English in 1691 to prevent its subsequent use by the Jacobites. Urquhart Castle at night.